In a research done by Millward Brown Optimor comes out with the facts that BrandZ Portfolio created from the world's top 100 most valuable brands, are in positive node and recovering fast. 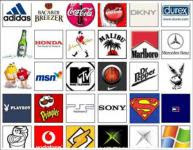 The BrandZ Top 100 is based on the world's largest brand equity study. It is the only brand ranking that combines financial data with research among 1.5 million consumer and B2B customers in 30 countries.